Families and day-trippers attending this Sunday’s (25 June) Northumbria Police Fun Day, can get there easily and in style with a little help from Go North East. The region’s largest bus operator is supporting the annual family day, which last year attracted over 5,000 visitors, by providing a free park and ride service for attendees and via its 309 and 310 Cobalt Clipper services. 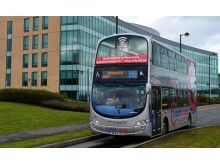 The free shuttle, running every 10 minutes, will depart from North Tyneside Council’s offices on Cobalt Business Park and drop passengers off at Northumbria Police’s headquarters. 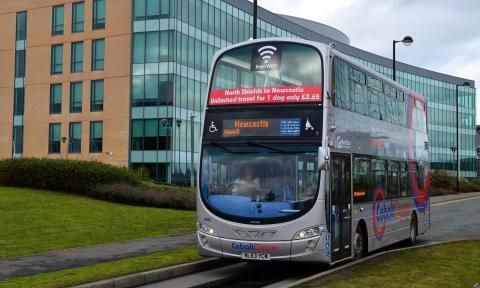 For those who want to leave the car at home, those coming from Blyth, Seaton Sluice or Whitley Bay can jump on the 309 route which stops at the Cobalt and continues into Newcastle. Anyone travelling from North Shields, Meadow Well or West Chirton can hop on the 310, which also continues on to Newcastle. Organisers hope the park and ride and Cobalt Clipper services, will make getting to and from the event easy, while removing congestion and parking issues for visitors. Following the success of last year’s inaugural event, visitors can shake paws with the police dogs, try their agility on the inflatable assault course and meet the famous force horses. Plus, operation dragoon officers from the popular Car Wars TV programme will be there – sharing their advice on patrolling and keeping the streets safe. Children attending the fun day will have free entry, with adults paying a £1 contribution. All monies raised at the event will be donated to local charities.